Last night I attended the MTN Women in ICT Awards - Partnership for Change. 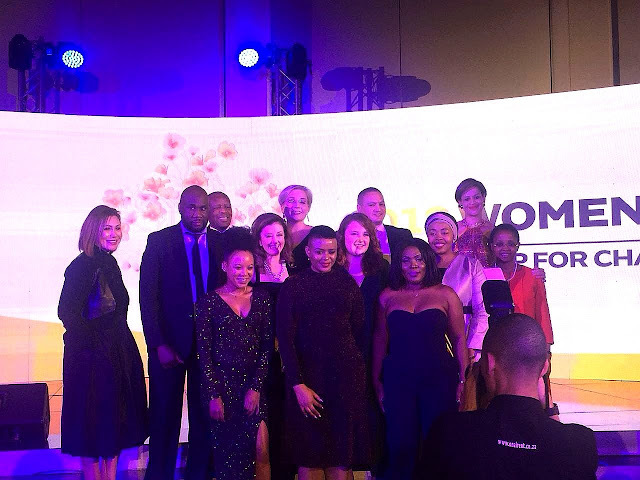 MTN created the platform to recognise, honour and celebrate women in the ICT industry. Out of 24 women who were chosen as finalists in the eight categories, deserving women were crowned as winners. Each category had three finalists. It was a tough competition as all the finalists are formidable women who are deserving of the honour. Even though only a few women were chosen as winners, one of the best things about the awards is the exposure that the nominees receive. Since attending the awards I've been exposed to so many incredibly talented women in the ICT industry. They are part of the reason why been extra curious about the industry and not just as a user but how incredibly disruptive and innovative it is. And not forgetting the many opportunities that are available to women. We also had some motivation from the co- founder of We Think Code, Arlene Mulder and this what she shared. 1. Always remain curious and never settle. 3. Find your true North. Don't be influenced by what others want you to be. Arlene is a former banker and took a massive leap of faith to start her own venture. What an incredible woman! Maybe you've been feeling stuck in your career, why not explore all the opportunities that the ICT industry offers. You'll be surprised at what you find. So many opportunities. Like Lira said at the event, "We're going to STOP complaining and we're going to be the change that we want to see." Amen to that! Check out some of pictures from my Instagram page and Twitter.